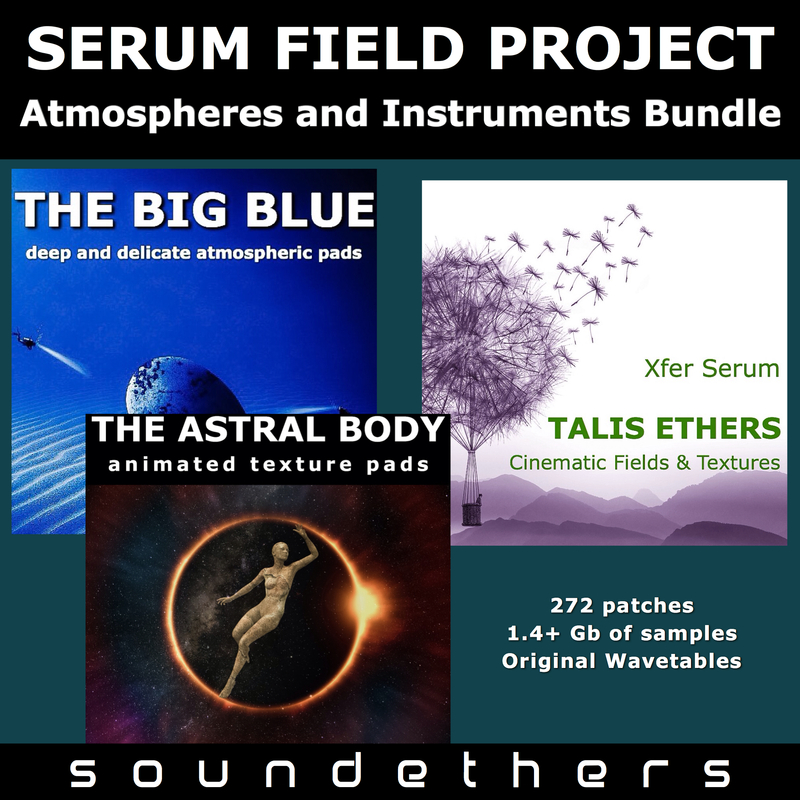 The "Serum Field Project" is a huge collection of instruments and atmospheres based on field recordings, samples and wavetables featuring subtle ever-evolving movements, entirely dedicated to producers and composers of ambient, soundtracks, underscores, film and game music, and anything else that may need narrative sounds, ready to be used, sculpted and manipulated. It's hard to say about the content, since the "Serum Field Project" is so vast that it's a world on its own for you to explore. We collected field recordings in different locations (Italy, Norway, Germany), many of them featured as loops in the collection, and then blended them in layers with digital and analog sources to create the textural samples provided. The result is organic and unpredictable. Just try to explore along the keyboard octaves and add the spacious Serum reverb or delay, and a quite common sound of our daily life will become a new world. It's up to you to decide which story it tells.